Today on 20 th November, the whole world is celebrating Universal Children’s Day with a sheer zeal and enthusiasm. This day is quite special for the children and their rights as well. The fundamental objective of celebrating this day is to enhance child welfare globally and promoting the basic rights of children. This day calls for the elevation of cognizance and togetherness among the children all around. The Universal Children’s Day was ascertained on December 14, 1954. This day was established by the United Nations General Assembly. In the year 1959, on November 20, the UN embraced the proclamation of the basic rights of the child streaming some particular rights to them. 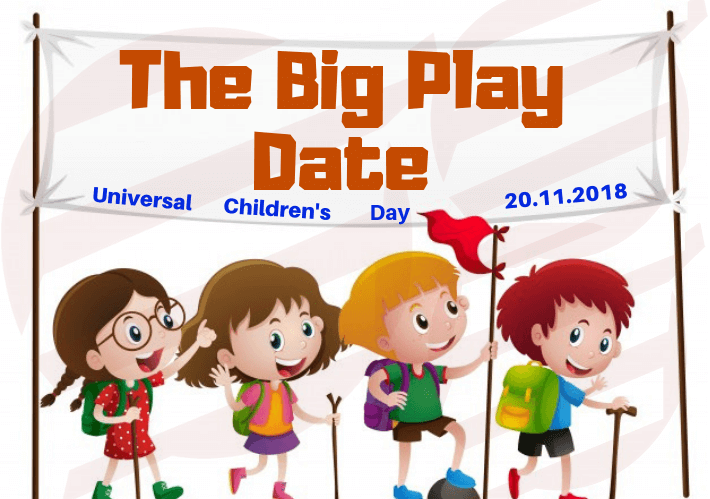 From then onwards each year November 20 th is celebrated as Universal Children’s Day. How the celebrations take place? On this particular day, there tends to be numerous events and activities concerning child welfare take place. Various educational institutes and schools around the world organize many activities to make the children cognizant regarding their fundamental rights. In schools, the teachers like to aware the students about their morals and rights so that they can improvise their life. Discussion of prevailing issues concerning child also takes place at numerous seminars and other public places like the problems they get to face on a daily basis. Many countries such as New Zealand, Canada, and UK etc. celebrate this particular day with great events and activities. Each year this day is celebrated with a different theme focusing on enhancing child welfare. This year’s theme will be ‘Children are taking over and turning the world blue’ as announced by the United Nations. It involves activities attracting the general public to go blue and support each and every child around, to make sure they are safe from any harm, helping them shape up their future. Activities related to going blue comprise signing the global petition etc. One can participate in the celebrations and awareness events by wearing blue and sharing the helpful ideas with people around through social media. On November 20, this year UNICEF will be inviting and appointing an Emmy-nominated actress as its youngest Goodwill Ambassador. Global landmarks will be showcasing in blue color. On November 20, 1989, 30 years later on picking the Declaration of the Rights of the Child, the United Nations adopted the Convention of the Rights of the Child (CRC) which is the most swiftly and profoundly affirmed international human rights treaty in the whole history. The CRC supported amendment and changed the manner children are treated. It brought many significant elements to the child welfare. They are no more treated as the objects and property of their parents or anyone. It also promotes equality among children. The significance of this day can only be attained if efforts are made from our side as well. It is necessary to help a child in need and inform the concerned authorities if required to improvise their lifestyle.